This is an assorted mix of premium brand practice golf balls. This mix is made up of all the top golf ball models such as Titleist, Callaway, Taylormade, Srixon, Bridgestone, Nike and others. All these premium practice golf balls will be a mix of our A and AA grade and will have noticeable wear marks. That said, if you want to parctice with the best brands in the game then this is the mix for you. There may be the odd ball in the mix that is fine for play and if you want you could use these on those risky shots over water. They're perfect practice golf balls to buy in bulk for hitting around the park, letting the kids loose with them or simply using the balls for some training drills. All premium practice balls will be scuffed, worn and may be slightly discoloured however none of the balls will have any cracks, major cuts or be unhittable. Many of the balls in this mix will sell for up to $30-$35 a dozen in the shops when new so it's a good chance to try some great quality balls and see what you think of them. As mentioned all balls will be Titleist, Callaway, Srixon, Taylormade, Nike, Bridgestone and others. We have sold many thousands of these premium practice golf balls, grab yours today. Quality of balls excellent. Service fast. Lost Golf Balls were very quick in getting my order to me and the product was exactly what I need for my grandson who is just starting out with golf at 7 years of age. He is very keen and the 100 golf balls saves us having to head down the paddock after just a few hits to retrieve the balls. We can... Read More. Lost Golf Balls were very quick in getting my order to me and the product was exactly what I need for my grandson who is just starting out with golf at 7 years of age. He is very keen and the 100 golf balls saves us having to head down the paddock after just a few hits to retrieve the balls. We can do a lot of hitting before the pick up. thanks for your feedback and review, we greatly appreciate it. Thanks for letting us know you are happy with the quality of the golf balls. We put the free tees inside every order. If you look in the white bag that the golf balls were in the tees will be in there for you. It's a mixed bag of tees, wooden, plastic wedge, rubber top and a golf ball marker as well. I have reached out via email to let you know about this as well. Good price. Delivery arrived as per the tracking document. thankyou so much for leaving this feedback and letting us know about about the delivery delay with your order. I am so sorry this has occurred. I wanted to personally reply because this kind of delay is not at all normal. As you can see from the other feedbacks of these golf balls, the vast majority of customers are getting their orders within a few business days. Most items we will ship the same business day as the order is placed which helps us achieve fast delivery times. So it's frustrating and annoying for us as well when these kinds of delays occur. We have contacted the courier company and asked them for an explanation of why this delay occurred. We have also noted it down in a file we keep of delivery issues. If we notice repeated instances of delays in the Perth depot then we will change courier in that area. We are always keeping a close eye on our delivery companies as I know it's such a critical area for online business. And especially for us, as everyday we are shipping (heavy) golf balls to customers all around Australia whilst attempting to keep costs at a minimum to help save everyone as much money as possible. I have added a credit into your account for the cost of the shipping, plus an additional $10 credit for you. This will at least make if free delivery and gives you an additional $10 to spend when you need a top-up. I hope this goes someway to alleviating the inconvenience of this late delivery. I have emailed you details of how to use the credits on our account. Once again my apologise for this late delivery, and thankyou for letting us know about it, we genuinely appreciate it. If there is anything I can do please let me know by reply to the email I have sent you. Quick turn around of order. Goods as advertised. Fast. No Fuss. Happy with the value of goods. Assorted Premium Practice Golf Balls This is an assorted mix of premium brand practice golf balls. 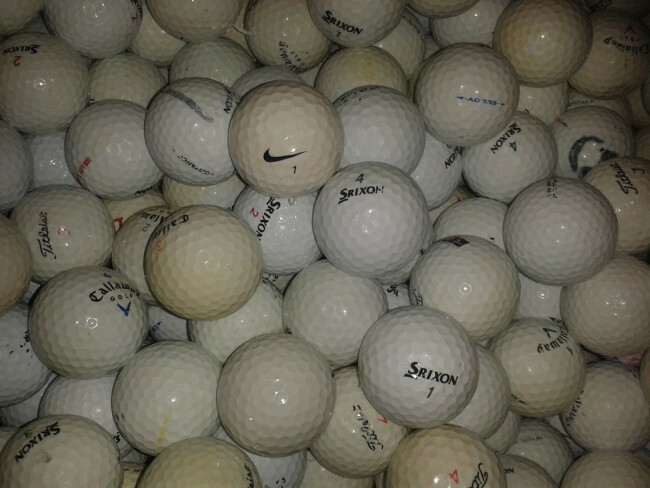 This mix is made up of all the top golf ball models such as Titleist, Callaway, Taylormade, Srixon, Bridgestone, Nike and others. All these premium practice golf balls will be a mix of our A and AA grade and will have noticeable wear marks. That said, if you want to parctice with the best brands in the game then this is the mix for you. There may be the odd ball in the mix that is fine for play and if you want you could use these on those risky shots over water. They're perfect practice golf balls to buy in bulk for hitting around the park, letting the kids loose with them or simply using the balls for some training drills. All premium practice balls will be scuffed, worn and may be slightly discoloured however none of the balls will have any cracks, major cuts or be unhittable. Many of the balls in this mix will sell for up to $30-$35 a dozen in the shops when new so it's a good chance to try some great quality balls and see what you think of them. 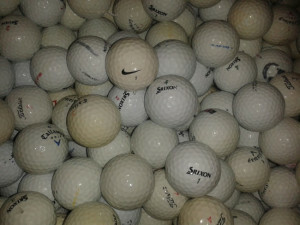 As mentioned all balls will be Titleist, Callaway, Srixon, Taylormade, Nike, Bridgestone and others. 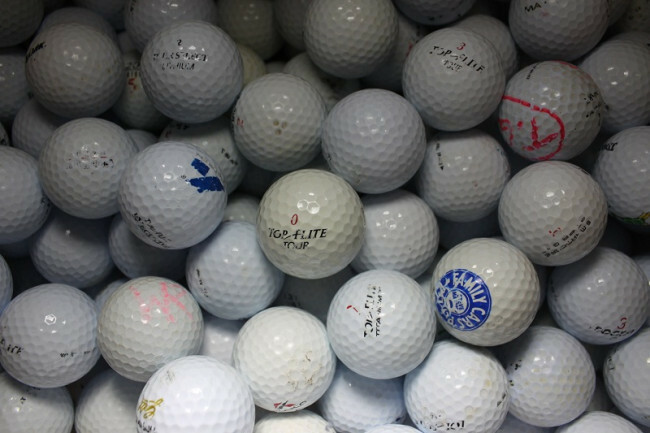 We have sold many thousands of these premium practice golf balls, grab yours today.